Our staff is trained to examine not only the facts and amounts of transactions, but also the implications for your company. We look for trends that might have been overlooked. We attempt to isolate opportunities and bring them forward. During an audit, we examine and evaluate a company’s financial statements in accordance with generally accepted auditing standards. We then express our opinion as to whether the statements are fairly presented in conformity with generally accepted accounting principles. Third parties, such as bankers, other credit grantors, and bonding companies often require an audit. An audit offers the highest degree of assurance regarding financial statements. Thus, an audit requires significant testing of the underlying financial transactions and a study of the client’s structure of internal control. As a result, an audit often is preferred not only by third parties but also by members of management seeking in‑depth information of the company’s financial position and operating results. We consider our professional relationship with our clients to be on a year round service basis rather than once-a-year audit concept. For example, many of our clients send us interim financial statements which are carefully reviewed by the partner and manager in charge of the account. Also, clients request and receive assistance with respect to specific accounting or management problems on a continuing basis. At the conclusion of each audit engagement, the audit team prepares a management letter that summarizes practices and procedures noted during the audit that should be considered for improvement. 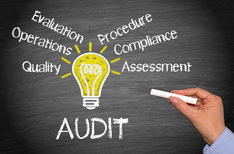 The comments relate to financial as well as tax, operational and other related business matters that go beyond the scope of the typical audit.